If there is one industry across the world that people take for granted it’s the trucking industry. 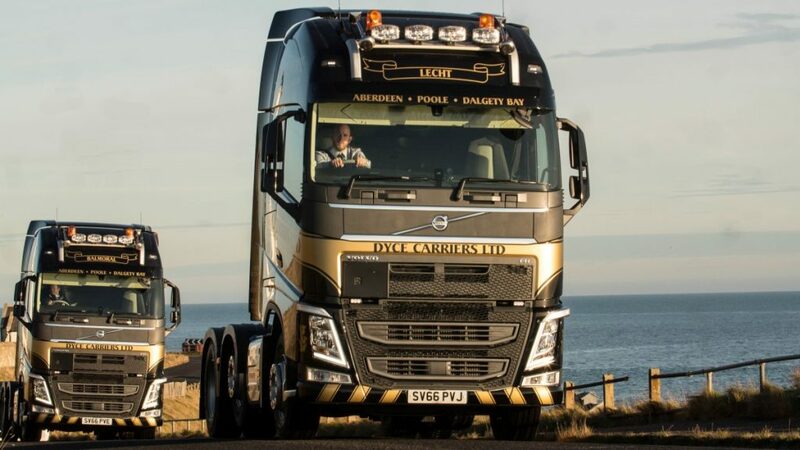 It is not only people across the UK that rely heavily on truck drivers but also businesses. We solely depend on the trucking industry and their drivers to maintain fast delivery, delivering products safety and securely to their destination. We should consider carefully what it would mean if all truck drivers were taken off the road. It would be a catastrophe. It has been estimated that there would be a perishable goods shortage within 3 days; drinking water would disappear within 2 – 4 weeks; food supplies in hospitals would be gone in 24 hours and cash machines would be empty in 2 – 3 days. Quite a scary thought when you put into perspective. There is no doubting the significance of the trucking industry to the people of the UK and around the world. It should be made aware just how important truck drivers are. After all, in recent years (since 2015) there has been a trucker shortage. In 2015, the UK saw a shortage in fully trained and qualified HGV drivers, meaning bad news for the UK’s economy. According to Mike Farrall (Chairman of Farrall’s Transport), “I can find a driver today, probably quite easy, but is he skilled? No way. I would go through quite a lot of people before finding a half decent guy.” Some of you may think that it is easy to become a qualified HGV driver. But, this isn’t the case, the UK continue to put up barriers to becoming a lorry driver. Many in the UK blame the proliferation of regulations for raising costs and complicating the driver’s job. The introduction of the Driver Certificate Competence or CPC training has also made it difficult for HGV drivers. This raised the cost of obtaining and maintaining a HGV license. Many were quickly put off by this new regulation in 2014. 2016 showed no signs of improvement. The Road Haulage Association says it is short of 60,000 drivers, with an aging workforce shedding another 40,000 in 2017. But is it the Government making it difficult to start a career in HGV driving or is it the employers within the trucking industry that are the problem? Few companies around the UK run their own training schemes and are requesting fully trained drivers with years’ of experience. Difficult for those just starting out their career as a HGV driver. Many new to the trucking industry are travelling abroad, with many countries mainly in Eastern Europe hiring 60,000 drivers. Hopefully 2017 can turn things around for the trucking industry and the public gain more respect for truck drivers and realise how important they are to everyday life. More training is key, without the proper training the truck driver shortage will continue in 2017 and we all now know the continued dangers and threats this causes to the public and the economy of the UK.